This is a question equine clicker trainers get asked often and is a really fascinating question for me as positive reinforcement horse trainer. I get that it’s a concern for people who are interested in clicker training and those who are exploring the pros and cons. It seems like a hassle, right? Why is this such an intriguing question? If you know the principles of training you’ll understand. Let me explain. Basically there are only two ways you can motivate a horse in training. Strengthen (reinforce) a behaviour by taking away an aversive. An aversive is something the horse wants to avoid or get away from. Strengthen (reinforce) a behaviour by giving an appetitive. An appetitive is something the horse wants to receive, something he likes. I have never heard someone ask a riding instructor ‘When can I stop using my whip?’ or an employer that wants to know when he can stop paying his newly hired employees. However, I do understand where this question is coming from. It comes from a fear of never, ever doing something with your horse without having a treat in your pocket. I get that, but a reinforcer isn’t a bribe that you have to use every time and also have to keep increasing. Your horse will gain the confidence to try out new behaviours because that increases his chances of getting what he likes (food). He is having fun discovering what leads to a treat and what doesn’t. He will like the engagement with his person, because there is a ‘puzzle’ involved and there is no punishment for ‘wrong answers’. All answers are ‘Good’ or, worst case scenario, ‘Not Reinforced’. In the beginning it will be about the food, yes, but if the trainer uses a marker (the click) to mark the desired behaviour in a consistent way, the horse will shift his attention from the reinforcer, the food, to the click (the marker) and therefor will be focused more on this behaviour instead of the food. As soon as the marker signal (the click) becomes a reliable predictor of the appetitive, the click becomes as valuable as the food. Now the click has become secondary reinforcer. Something the horse has learned to value. First it meant nothing, now it means ‘an appetitive is coming’. 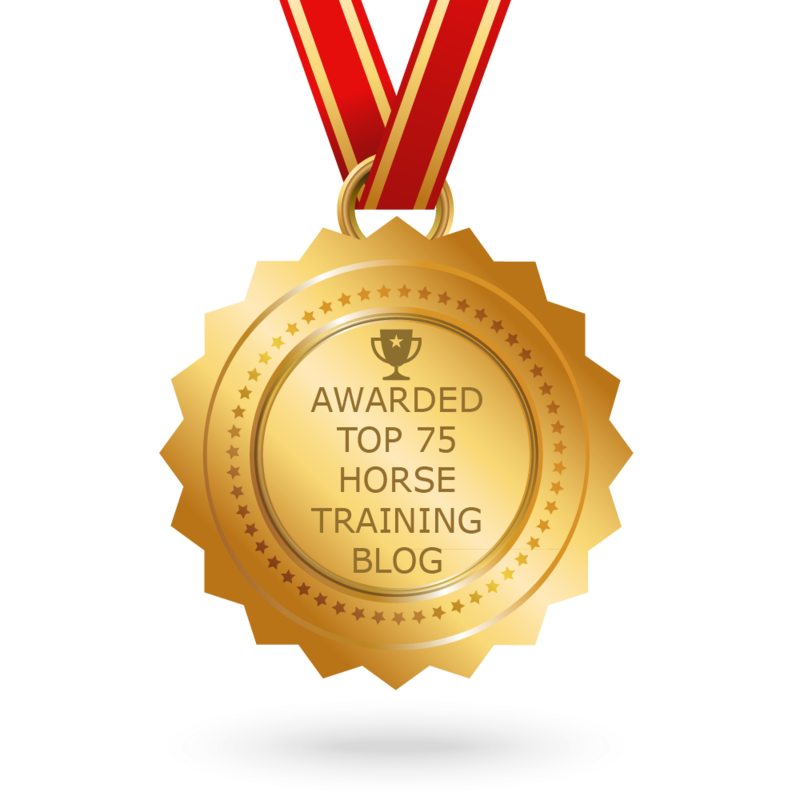 In positive reinforcement as well as in negative reinforcement training (traditional training and natural horsemanship methods) reinforcement never stops. If the reinforcement stops the behaviour will go extinct (die out), unless it is ‘self rewarding behaviour’, behaviour that reinforces itself without external interference. Riders will never stop using leg aids (pressure-release) and if the horse fades out his response, he will get a reminder (the rider will use reinforcement) to ‘hurry up and respond quicker’ by the use of a stronger leg aid, the tap of the whip or the use of spurs. Does a (well trained) horse need to be in pain every time you ride him? No, he will learn to anticipate on a light cue, that now is a reliable predictor of an aversive. It’s this principle that ‘keeps the horse in line’. The horse had learned how to avoid it. What about positive reinforcement training? Do I have to keep using food forever? Yes, you will have to reinforce a learned (trained) behaviour once in a while after it is established. This will prevent extinction. This means you will have to remind your horse that there is ‘still a chance of getting something good’ (food) once in a while for good performance. No, it doesn’t have to be food! Once you get more experience as trainer you can use other reinforcers too that aren’t food. You can even reward behaviour with behaviour. Yes, you will carry food almost every training, but it is not what you think. Once you have discovered how much fun it is (for you and your horse) to clicker train him and how easy you get new behaviours you can’t stop teaching him more and more. Food is a powerful primary reinforcer and comes in handy when teaching new behaviours. That is why clicker trainers almost always carry food: they are busy training new behaviours! No, you don’t have to reinforce well known behaviour every time with food. It can take a long time before positively reinforced behaviour goes extinct. Your horse will learn that you equal fun and he is willing to do so much more for you even when you don’t carry food. Once your marker becomes valuable, you can replace food with other reinforcers, like scratches or other behaviours. What is your answer to the question ‘When can I stop using food in training?’ Please share it in the comments. If you think this is a blog that someone can benefit from, please use one of the share buttons below. Or post a comment, I read them all! Thanks a lot! “I have never heard someone ask a riding instructor ‘When can I stop using my whip?’ or an employer that wants to know when he can stop paying his newly hired employees.” This is so great. This line is the frustration of many food reward training instructors. Thanks for this post.